Our collaboration of vase drawings takes the viewer through a history of Art Education in America since 1870. Student art objects become more authentic to self-expression as we examine the history of classroom instruction. Self-expression through judgment and the senses becomes more and more apparent with each significant change in Art Education theory and practice. Vase Study: A History of American Visual Literacy represents the transformation and evolution of art education from the days of chalkboard drawings to the contemporary conceptual art of today's world. Technical drawing, the introduction of color, exploration of still-life, freedom of abstraction, and post-modern synthesis of materials exhibits the evolution of Art Education through a vase drawing. As artists, we believe visual literacy education is imperative to a complete and successful school experience. Furthermore, there is satisfaction in witnessing the growth of students. 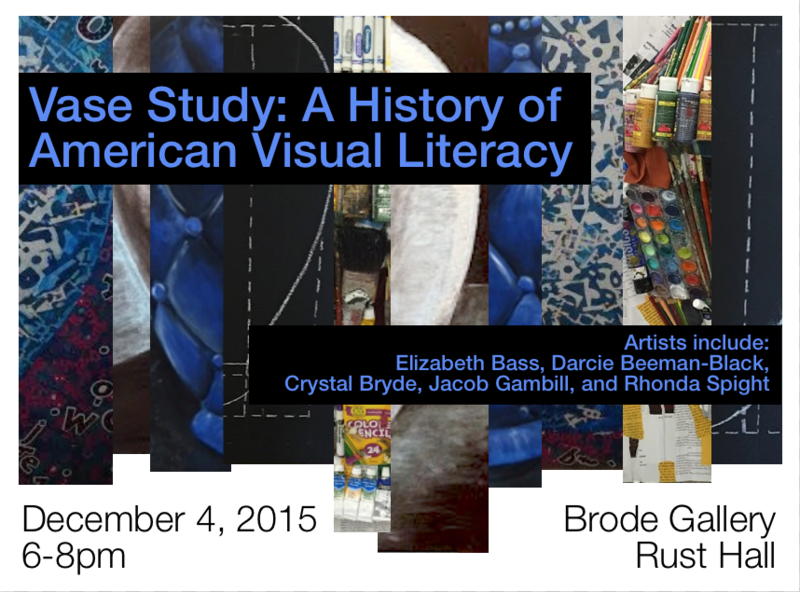 This project invigorates the trajectory of the development of education in visual literacy. See our collaboration history on Google+.